Atorvastatin calcium Cerivastatin sodium Fluvastatin sodium Lovastatin Pravastatin sodium Simvastatin General Statement: The National Cholesterol Education Program Expert Panel on Detection, Evaluation, and Treatment of High Blood Cholesterol in Adults has developed guidelines for the treatment of high cholesterol and LDL in adults. 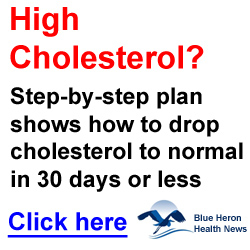 Cholesterol levels less than 200 mg/dL are desirable. Cholesterol levels between 200 and 239 mg/dL are considered borderline-high while levels greater than 240 mg/dL are considered high. With respect to LDL, levels less than 130 mg/dL are considered desirable while levels between 130 and 159 md/dL are considered borderline-high and levels greater than 160 mg/dL are considered high. Depending on the levels of cholesterol and LDL and the number of risk factors present for CAD, the provider will develop a treatment regimen. Action/Kinetics: The HMG-CoA re-ductase inhibitors competitively inhibit HMG-CoA reductase; this enzyme catalyzes the early rate-limiting step in the synthesis of cholesterol. 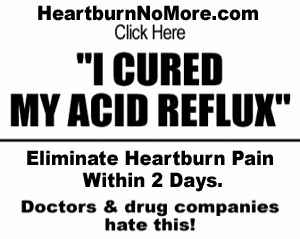 HMG-CoA reductase inhibitors increase HDL cholesterol and decrease LDL cholesterol, VLDL cholesterol, and plasma triglycerides. The maximum therapeutic response is seen in 4—6 weeks. Uses: Adjunct to diet to decrease elevated total LDL and cholesterol in clients with primary hypercholesterole-mia (types IIa and IIb) when the response to diet and other nondrug approaches has not been adequate. See also individual drugs. Contraindications: Active liver disease or unexplained persistent elevated liver function tests. Pregnancy, lactation. Use in children. Special Concerns: Use with caution in those who ingest large quantities of alcohol or who have a history of liver disease. Safety and efficacy have not been established in children less than 18 years of age. Side Effects: The following side effects are common to most HMG-CoA reductase inhibitors. Also see individual drugs. 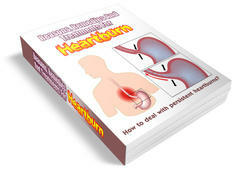 GI: N&V, diarrhea, constipation, abdominal cramps or pain, flatulence, dyspepsia, heartburn. CNS: Headache, dizziness, dysfunction of certain cranial nerves (e.g., alteration of taste, facial paresis, impairment of extraocular movement), tremor, vertigo, memory loss, paresthesia, anxiety, insomnia, depression. Musculoskeletal: Localized pain, myalgia, muscle cramps or pain, myopathy, rhabdomyolysis, ar-thralgia. Respiratory: Upper respiratory infection, rhinitis, cough. Ophthalmic: Progression of cataracts (lens opacities), ophthalmoplegia. Hypersensitivity: Anaphylaxis, angioe-dema, vasculitis, purpura, thrombo-cytopenia, leukopenia, hemolytic anemia, lupus erythematosus-like syndrome, polymyalgia rheumatica, positive ANA, ESR increase, arthritis, arthralgia, eosinophilia, urticaria, photosensitivity, fever, chills, flushing, malaise, dyspnea, toxic dermal necrolysis, Stevens-Johnson syndrome. Miscellaneous: Rash, pruritus, cardiac chest pain, fatigue, influenza, alopecia, edema, dryness of skin and mucous membranes, changes to hair and nails, skin discoloration.